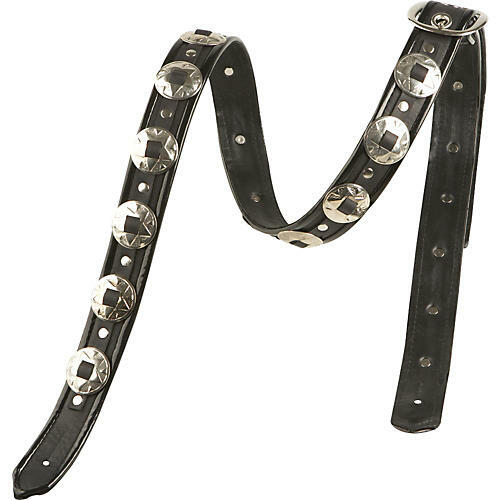 1.5" wide supple leather with nickel conchos, 100% leather-lined body with black binding. Adjustable with nickel buckle. Jodi Head guitar straps are all handmade in NYC's East Village using high-quality materials and experienced craftsmanship to make the finest and most unique guitar straps available. Not only will you be playing in comfort, but looking great with a custom product made with care in the U.S.A.